Series Logline: In The Clover Chronicles, the four Clover siblings and their parents conquer fame and betrayal and fight to keep family bonds strong in this new young adult series where every Clover has a secret. Battling Brelyn Logline: In Battling Brelyn, love, self-acceptance and family expectations collide when 15-year-old Brelyn Clover, who suffers from Lupus, and her new neighbor, Saith Richards, a paralytic athlete, follow their hearts against opposition and the physical challenges of their conditions. This is exactly how high school sophomore Brelyn Clover feels after she is diagnosed with lupus six months past her fifteenth birthday. The attacks on her body come without warning, forcing her to step down as a fitness trainer. Her siblings are the only ones keeping her sane during the hiatus from fitness. Then, Brelyn meets Saith Richards, her new neighbor. His is a paralyzed former basketball player who may never be able to take another jump shot in his life. Saith teaches Brelyn the true meaning of appreciating life. As the two grow closer Brelyn feels like things aren’t so bad after all. Even her online fitness business starts to take off, as she virtually trains her first client, Paris Rivers, a teen girl she connected with via Twitter. Just when things are going well, Brelyn’s health takes a turn for the worse. This leads her siblings and parents to band together to figure out what caused her crisis. Only Saith holds the answers that everyone desperately needs. Will the Clovers be able to put their pride aside and trust the one person who may be able to keep Brelyn alive or r will Brelyn’s growing love for Saith cause her parents to resent them having ever met? 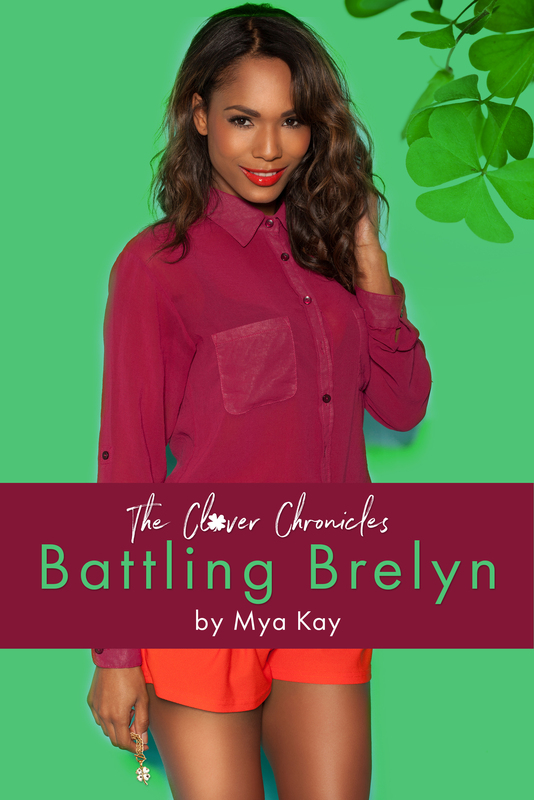 The Clover Chronicles: Battling Brelyn, is the first book in this new young adult family saga where 7th Heaven meets Empire.